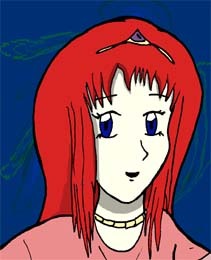 Despite having no affliation with Zera, Fatima is able to command various Light-elemental magic abilities. Her skills with the sword are also impressive, rivaling even those of the greatest Holy Knights. No one's really sure who she is, which would suggest she has some sort of shady past. Ooooh! Wouldn't that be cool?! 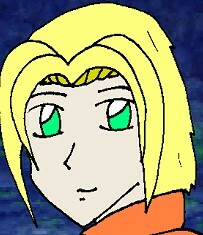 A mercenary who refuses to join any of the major guilds, Kevinsky travels around the world looking for interesting jobs. He is a moderately skilled fighter, and doesn't seem to be able to use any magic. Kevinsky's jobs before becoming a mercenary inclue being captain of the guards at Atrane and a pirate under a character known only as Captain H. Madman. 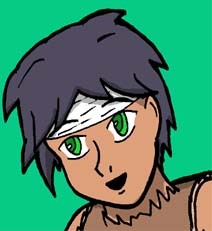 Cress is one of the Demon Hunters of Zera, chosen by King Elm himself. 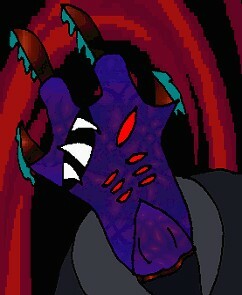 Cress is charged with finding demons by tracing their demonic L-type energies and destroying them. Out of all seven demon hunters, Cress is second in ability only to Joel. Araceli is King Elm's daughter. She's been sealed in the Tower of Nephilim for fifteen years. Trapped in fake world and living a fake life surrounded by apparitions that she believes to be real people, Araceli is constantly being decieved. 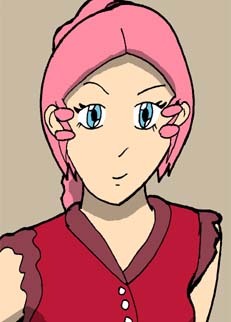 Maple is a cleric who works for Lady Ethereal. She has uncanny healing powers and seems to have a slightly skewed view of reality. 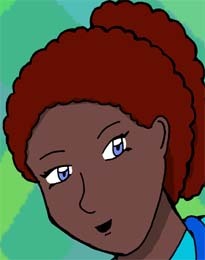 After being seperated from Dianolva, she's joined Cress's party in search of adventure. 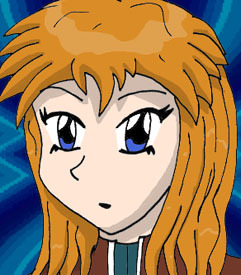 Solaria is a Holy Knight of Zera. Rather than use strength to subdue her foes, she relies on speed to win her battles. She and Milliene are on a quest to safeguard the Forbidden Region's sacred secret from Xantrich's minions. 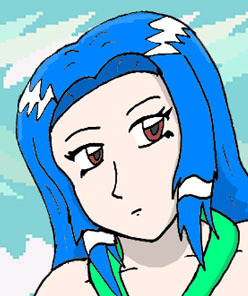 A Psi Knight who lost her memories during a battle with Xantrich. 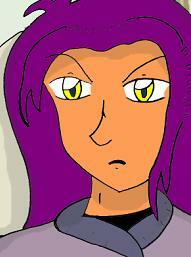 She hopes that traveling with Solaria will help her regain her past. Huh? Why is Milliene calling herself "Amena?" Has she lost her mind? Is she on drugs? Where can I get some? First Appeared: #253: Come On, Aileen! 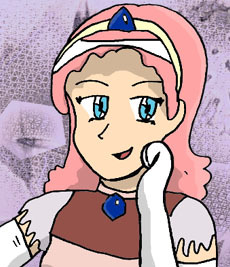 Aileen is the third princess of Eikard. 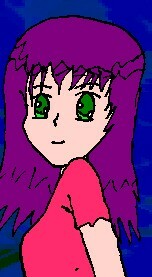 She, following the example of many rebellious-type princesses before her, has run away from home to find adventure. Her trusty partner in these endeavors is her servant Maxwell and his pet, Inga. 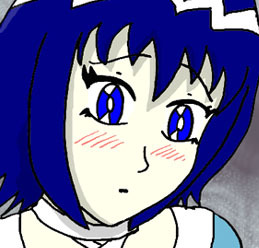 Aileen has teamed up with Solaria and Milliene. First Appeared: #89: No! Not a Cute, Animal-type Character! Does Fluffy have a point other than being the cute mascot-ish character? Talon certainly thinks so! A quiet swordsman who was raised by a master warrior in the land of Emmahge. 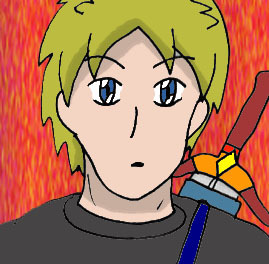 Shin is extremely skilled for his age and wields a katana. He doesn't speak often and wears a stoic expression most of the time. Ever since they went seperate ways, Kev's been looking for him. 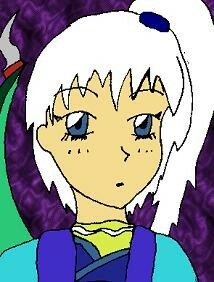 The last of the Crest Mages, Aria's parents were killed by cultists. For a time, she lived with the Phantom Beast in the Crest Ruins. She is a kind girl with a strong will. A mysterious old man who can use magic of every element. He's helping the Elder of Sata Andagee fight against an evil sorcerer. He seems to put much faith in the old legends of his people. Hiro's ancestors were heroes, and the Elder of Sata Andagee believes Hiro can become a Hero as well if he travels to the shrine atop Mt. Slaedro. Fatima, Kevinsky, and Path have been charged with escorting the young and completely powerless youth to the shrine. Cress, Maple, and Araceli rescued this stowaway. He seems nice enough. 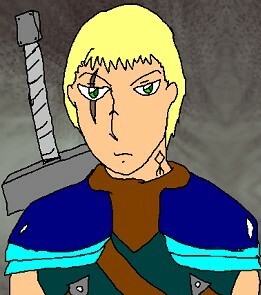 Alexander is the leader of the Holy Knights of Zera. A great warrior and political figure who was knighted by King Elm of Zera, Alexander claims to be the ultimate warrior of justice. He rarely handles matters himself, however, and prefers to make the other Holy Knights do the work. However, a threat to his lands appears that even he cannot ignore. Ruler of the holy land of Zera, the strongest nation in the world. 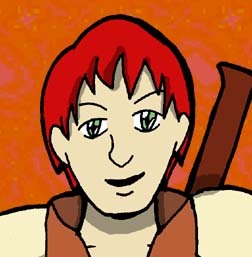 King Elm was a great hero in his youth, and was friends with Victor, the warrior from Saint Leon. King Elm is loved by his subjects, but lately he refuses to appear to the public. He spends many hours locked in his room. Has his sanity started to slip? One of the Eight Heroes of Legend. She's an ETHER mage of seemingly unrivaled power, but has been sealed in the ETHER Temple in Dianolva, and thus has to use helpers like Maple to stay in contact with the outside world. She is said to be kind and mild mannered. The fact that she visited Hazard's Wake in her early 20s explains why she looks as young as she does. One of the Eight Heroes of Legend. A swordmaster who saved Saint Leon from the Bandits of the Northern Cave and eventually went on a huge adventure to find Hazard's Wake. 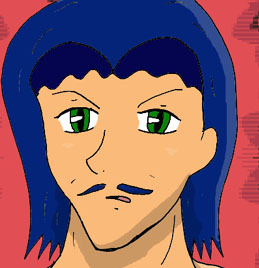 One of the Eight Heroes of Legend. Not much information is available on her aside from the fact that she is an expert archer and that a lot of people fear her. She looks kinda like another character, doesn't she? She stopped aging when she and the rest of the Eight found Hazard's Wake long ago. 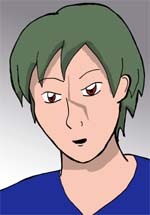 One of the Eight Heroes of Legend. A warrior from Uiraray who used an axe as his weapon of choice. Once he returned from his adventures, Uiraray made him king in honor of his bravery. The current royal line are his descendants. His death proved that while those who enter Hazard's Wake stop aging, they are not in fact immortal. 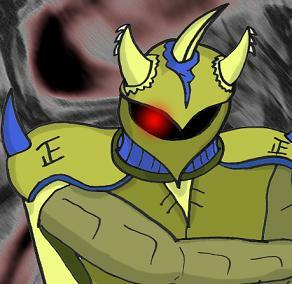 The renegade demon hunter, banished from Zera for a series of murders, who still hunts demons on his own using inhuman strength and one of those really friggin' huge swords. A Zeanogian Dark Master. He's all dark and stuff. He's traveling with Fatima and the gang, but can he be trusted? A seer who was born to scry. Serves the lord of Demiurge Castle. She admires people with intelligence. The Regent of Lortia. His chancellor is plotting to kill him. 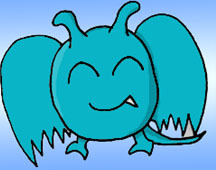 He might be based on the forumite and fanart contributor, Germ. She's a girl who seems to be trapped in a mirror, and she's got a weird-looking wing growing outta her back. That's not suspicious or strange at all. Nope, not at all. Talon owns a huge tower in the middle of nowhere. Fluffy serves Talon for unknown reasons. Talon seems to know something vital about Xantrich and his plans. First Appeared: #8: Evil! Bwahahaha! 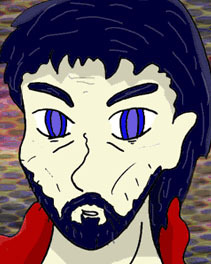 An evil sorcerer who, for reasons unknown, wants to destroy the small town of Sata Andagee. Despite his interest in such a backwater village, he isn't some two-bit wizard. He has three towers and seems to be preparing for some large-scale operation. The only one of Malbez's minions cool enough to get to be on the cast page. 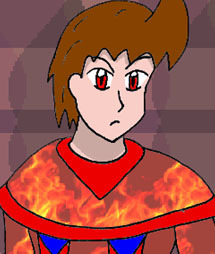 Summons flames and absorbs ETHER spells with his cloak. A demon hell-bent on entering the sealed continent to the north. He seems to have taken an interest in Araceli. What is he up to? And why am I asking you? 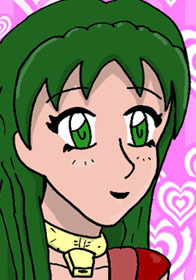 HazardsWake is hosted on Comic Genesis, a free webhosting and site automation service for webcomics.